The U.S. legal system recognizes that there are some members of the society such as minor children and a number of adults who are unable to care for themselves and protect their own self-interests. Conservatorships and guardianships are for people who, for whatever reasons, cannot take care of themselves. These individuals may be suffering from an incapacitating illness or disorder, or perhaps have been injured in an accident. Conservatorships and guardianships are legal structures that place a person of diminished capacity under the supervision of a conservator or guardian. A conservator is one appointed by the probate judge to manage the affairs of individuals who can no longer make their own decisions about finances or property. A qualification crucial to becoming a conservator is creditworthiness, as he or she is required to provide the court with a bond and therefore must have a good credit history in order to obtain a bond insurance policy. A guardian, on the other hand, is someone appointed by the probate judge to protect a person who is not old enough or competent enough to take care of him or herself, such as a minor or an incapacitated adult commonly referred to as a ward. The guardian is responsible for making decisions regarding general health and safety, such as medical treatment, housing, and everyday living. Because the appointment of guardians and conservators restricts a person’s civil rights, they are only appointed after the submission of a written petition and recent medical records to the probate court, the holding of a hearing after notice, and the issuance of a formal order. In Alabama, the appointment of a guardian ad litem to investigate the facts related to the appointment is mandatory in most cases. In Georgia, the appointment of a guardian ad litem is at the discretion of the court. A court in either state may also opt to appoint an evaluator such as a social worker, psychiatrist, or psychologist to reassure the court that the decision for a conservatorship or guardianship is in the best interests of the individual. Depending on the situation, a minor or incapacitated person may need a conservator, a guardian, or both. Although the same individual can be appointed to act as both conservator and guardian, the court will require evidence that both are necessary, and he or she will still be supervised by and held accountable to a court. Are you worried about a minor child or disabled adult? Seeking conservatorship or guardianship may be the solution for an individual who wishes to ensure a loved one is financially and physically protected. 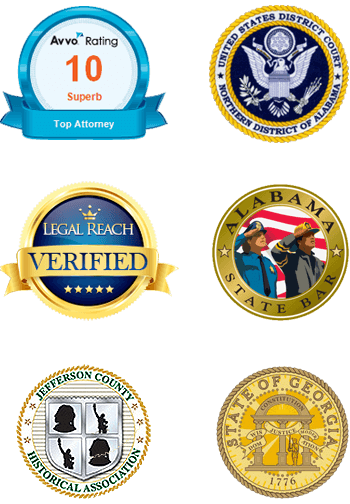 Call James B. Griffin today at (205) 502-2199 to schedule a consultation.